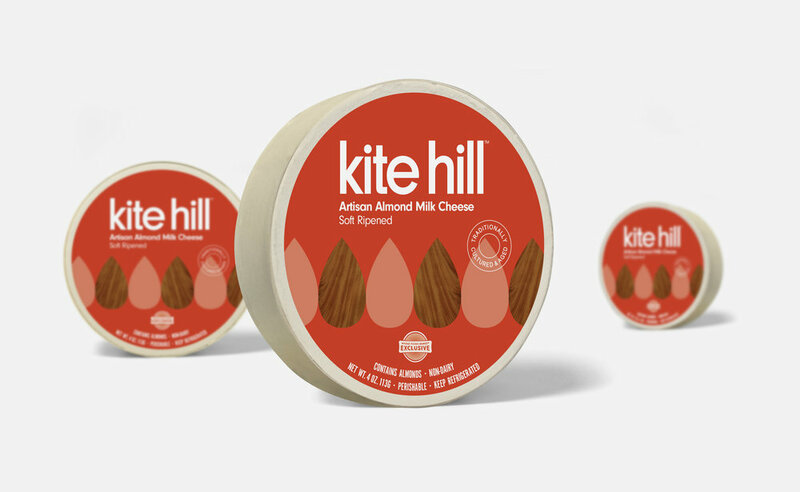 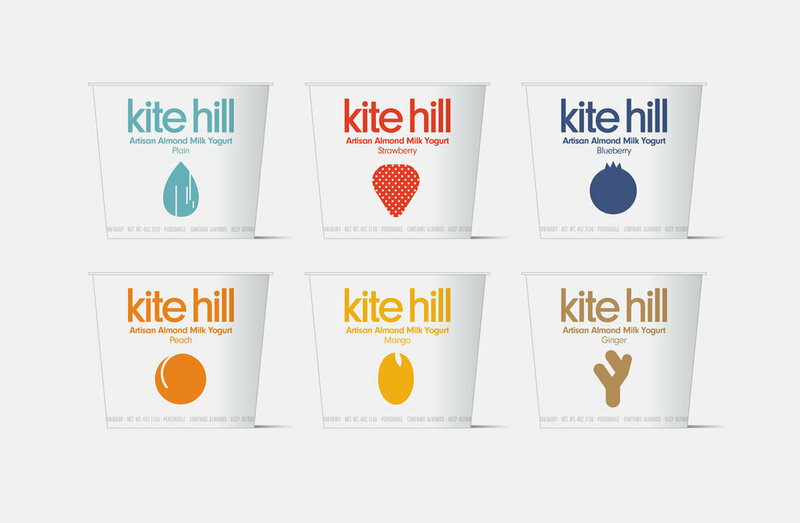 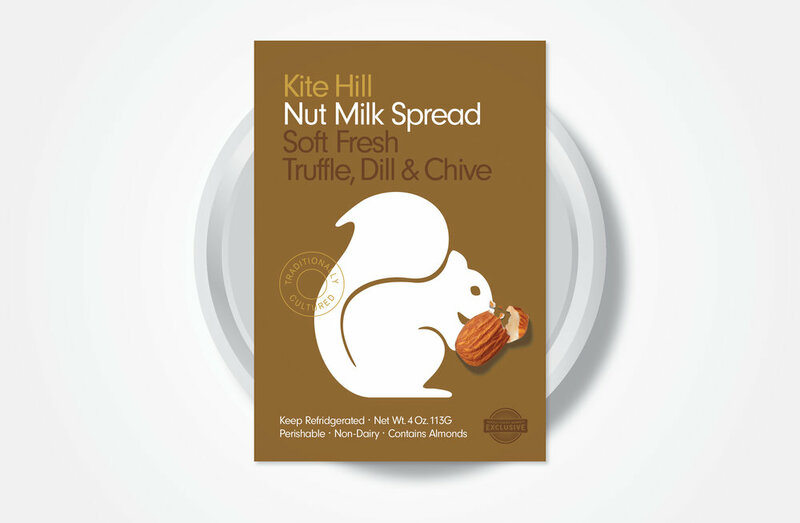 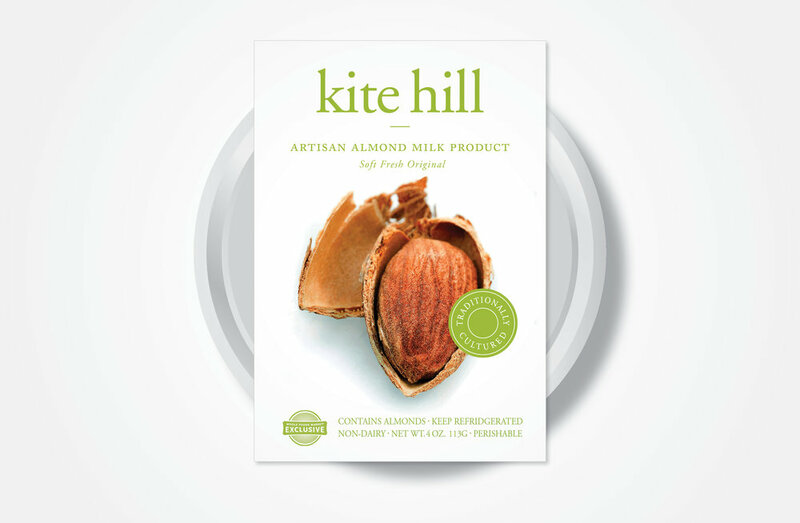 Package design for three flavors of Kite Hill almond milk cheese. 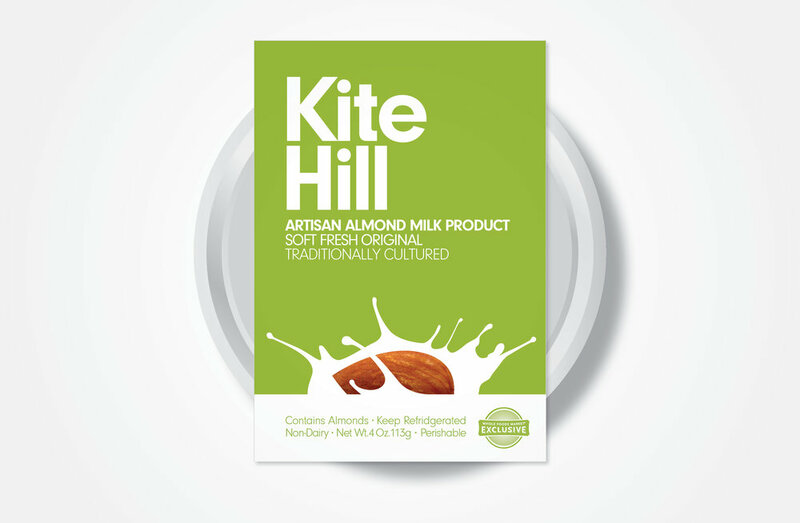 One of the goals of the assignment was to make it clear that this was an almond milk product, as the existing package was easily confused with traditional dairy cream cheese. 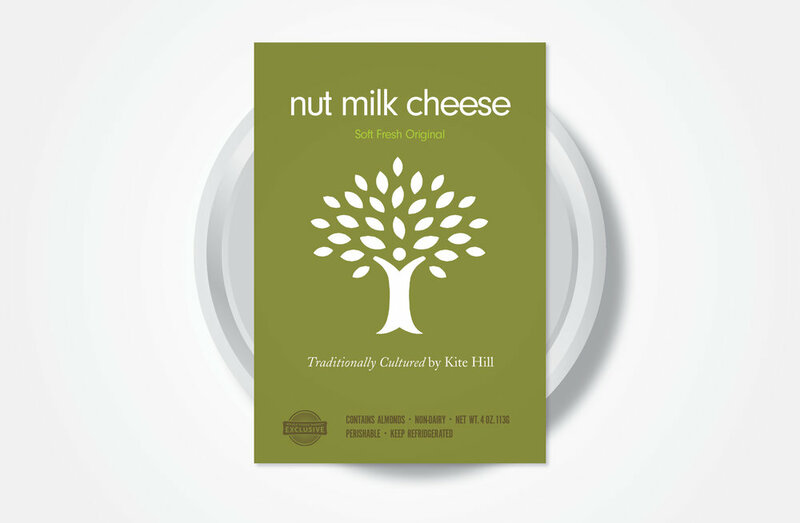 Other ideas developed before the one above was selected for production. 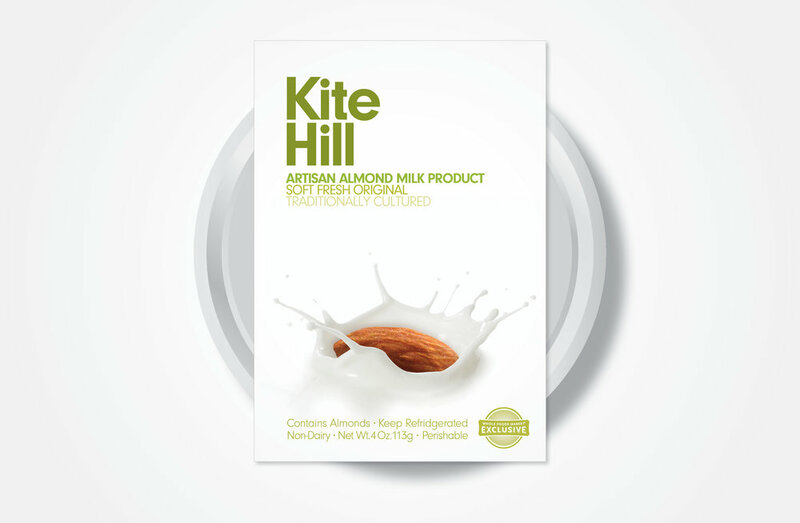 The product line was extended to include almond milk yogurt. 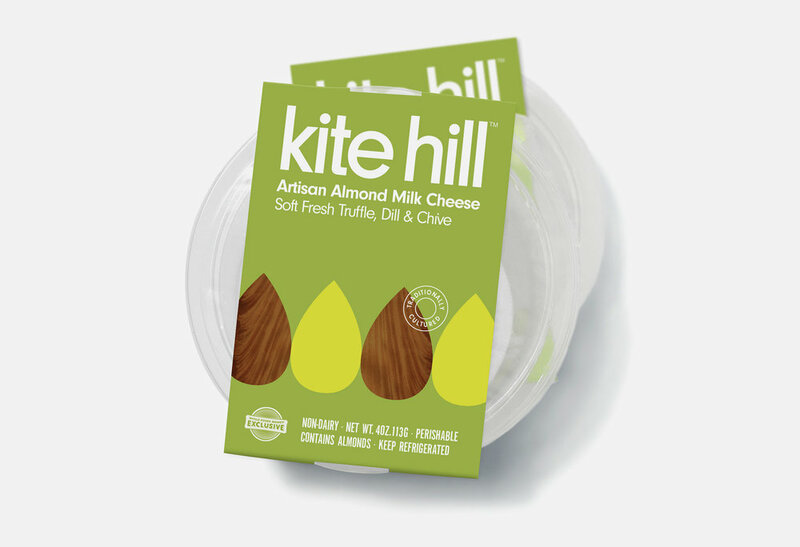 Below are two treatments for the package design.